Huading Separator (Yixing Huading Food Machine Co.,ltd) is the leading manufacturer of disc separator in China, since 1954. Huading Separator has been manufacturing centrifugal separators for more than 50 years. The company is now one of the market leaders in the field of centrifugal separation technology. 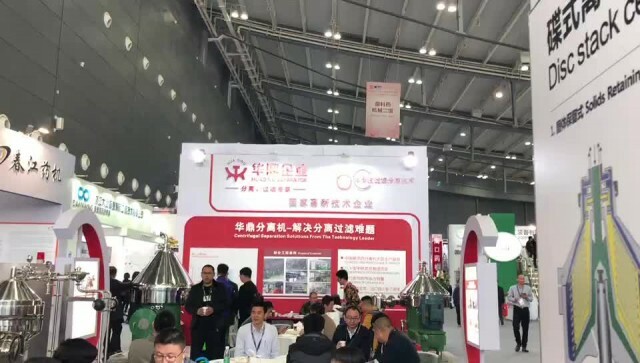 Separators and decanters from Huading Separator are used in food, beverage, pharmaceutical, chemical, marine, oilfield, energy, mining, mechanical engineering and wastewater treatment etc. The solutions help customers to clarify, concentrate, and separate products in production. Huading Separators's organization works closely with customers to help them stay ahead in their business line.